Home » Featured » We’re Back! Or better put, I guess, I’m back. It has been quite some time since I put anything up on this website. I’ve spent the last year or so setting up and running a site about Drexel University Men’s Basketball called Always A Dragon which has been a nice diversion from EMS in general. Writing about sports is very, very different and it has helped sharpen my skills in a lot of ways, but I think that its high time that I get back to writing about my passion: EMS. I have noticed a lot of things in myself recently. I’ve been frustrated by a number of things going on immediately around me, as well as in the industry. 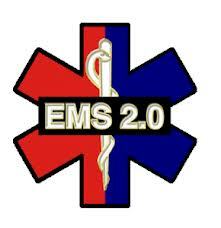 Social media, something that previously opened a lot of doors for collaboration and change in EMS has largely descended into a hodge podge of name calling and “my service is better than yours” debates. Publications have turned to some providers and former providers who might not always be what they seem at the surface, and leave a lot to be desired for the direction that they are leading our younger generation in. Health care, or rather health insurance, in our country is in shambles. Our country as a whole, in fact, is in shambles for many different reasons, depending on who you ask. Things just are not good right now. For me, writing on these pages has always been rather cathartic. Finishing up a post and pressing “PUBLISH” for me has always put a smile on my face, and I need that. Hopefully some of that enthusiasm can spread to those of you who are taking the time to read what I have to say. Tomorrow, we hit the ground running. We are going to start where I started: Island Heights, NJ and a letter to the editor submitted by a councilman in the town that I called home for the first 19 years of my life. From there, who knows where we will go next!